While tie colors and cake flavors may be looming large right now, those decisions aren’t going to matter (much) five years from now . 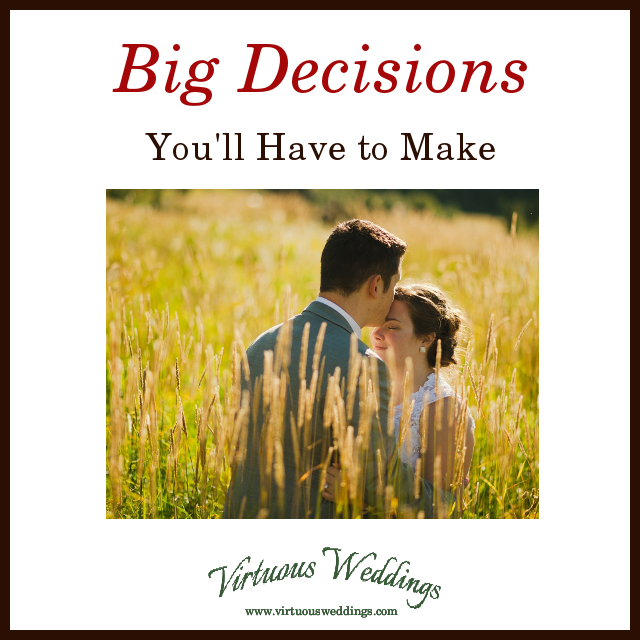 There are much bigger decisions you need to make long before the wedding ~ decisions that affect the success of your marriage and homemaking. Some of them are really big. Check them out below! Big (Important, Monumental, Foundational )Decisions! All of these things need to be addressed ~ and most of them need to be decided, as least in a basic way ~ before you get married. How will you afford to live? Who will manage the money (and how)? How and why will you spend or save? How will bank accounts, money, and money management be combined? What are your principles, values, and goals? How and why do you live? How will you live together? Will the wife work? What about after children? How will children be cared for, raised, disciplined, and educated? 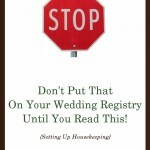 What will your roles be as husband and wife ~ in the marriage and in the home? What will each of your responsibilities be? How will family order work? How will decisions be made? How will conflicts be resolved? What will you do when things go wrong? Have you addressed any of these yet?